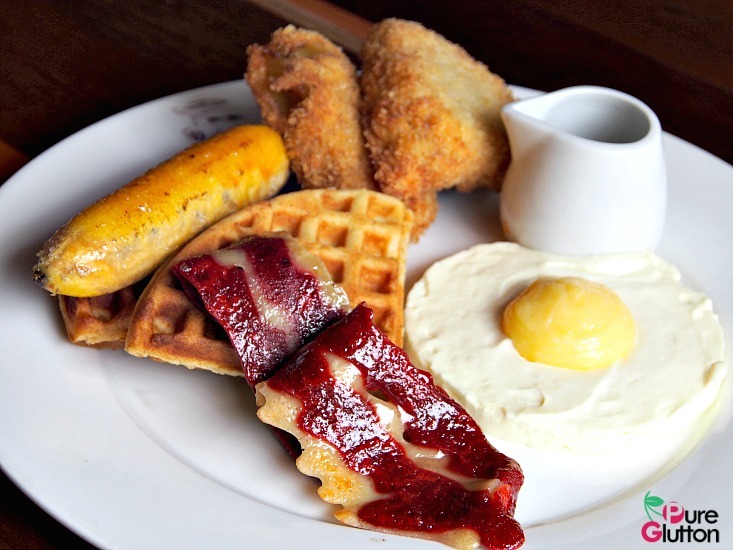 The Daily Grind | Review | THE DAILY GRIND, Bangsar Village 1 – NEW BRUNCH MENU! 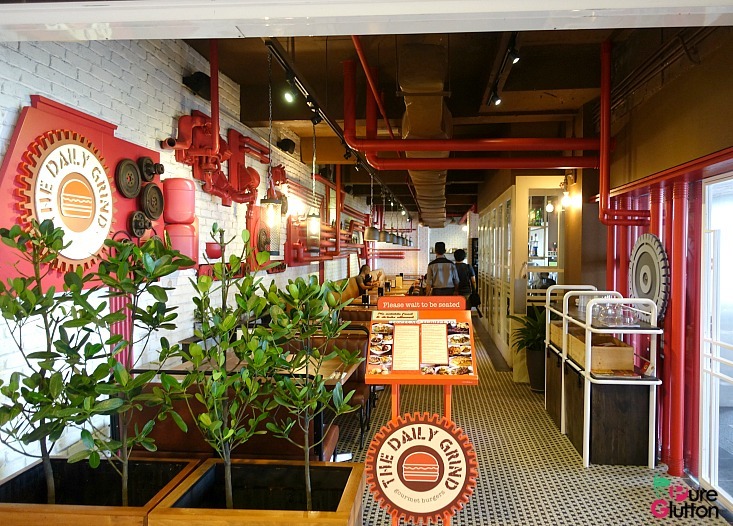 THE DAILY GRIND, Bangsar Village 1 – NEW BRUNCH MENU! There’s no shortage of places in Bangsar for brunch and that’s a fact. Every other cafe in this neighbourhood offers brunch in the menu. 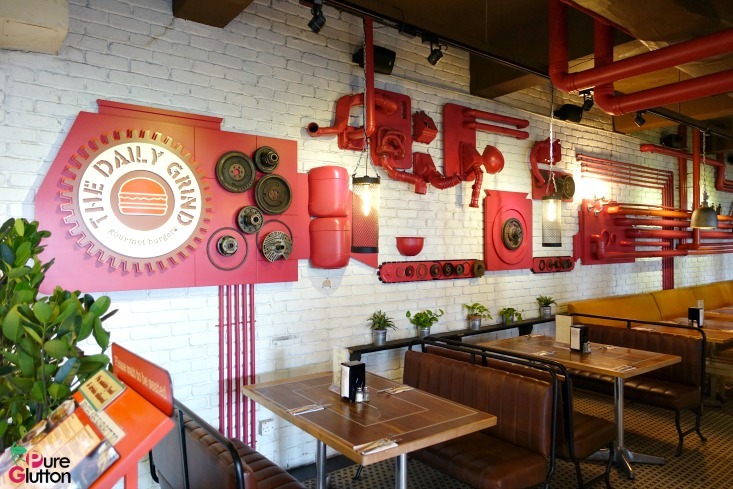 The Daily Grind in Bangsar Village is well-known for its gourmet burgers, milk shakes and cakes. 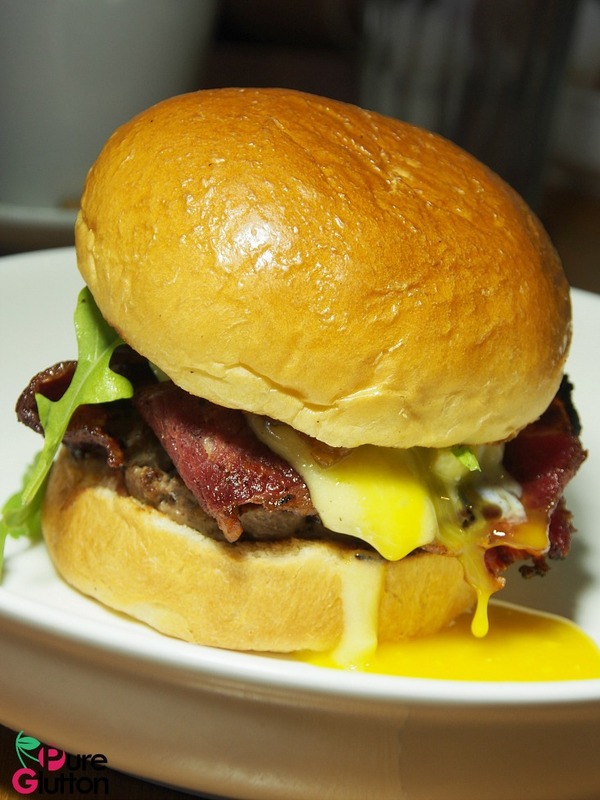 This diner prides itself for its artisanal burgers made the traditional way and they have now decided to expand that expertise to include some innovative items for their brunch menu. 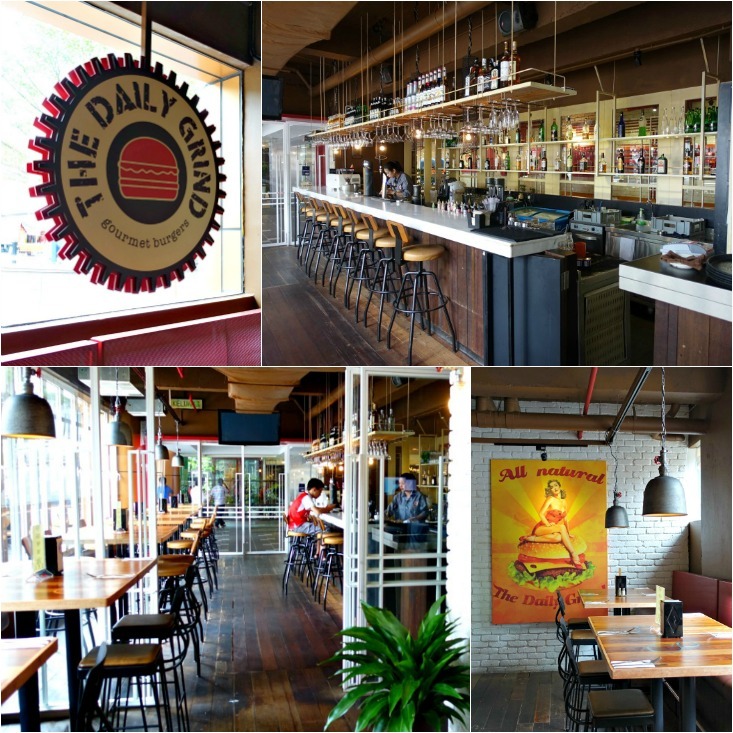 Love the bright & cheerful vibes of The Daily Grind! 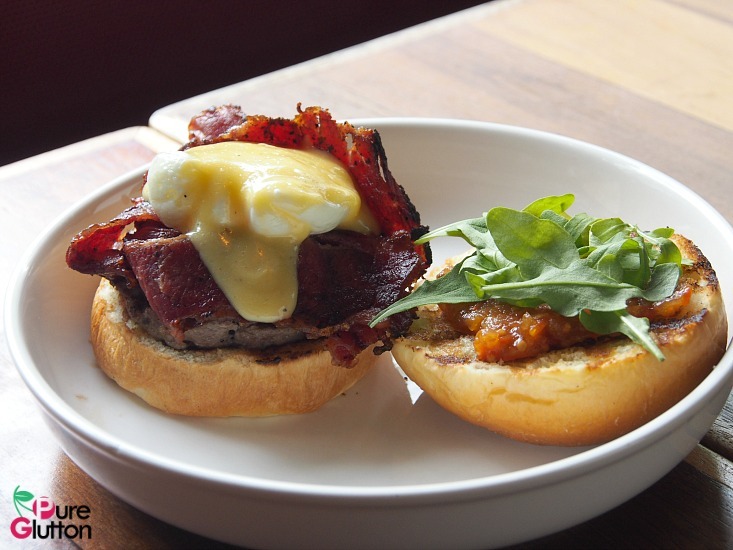 The 9 brand new brunch dishes are available only on weekends from 9.00am till 2.00pm. I checked out these brunch delights not too long ago and I must say the crew has done a good job coming up with some creative items. Napoleon & Churchill (RM25) – don’t you just love the name?! 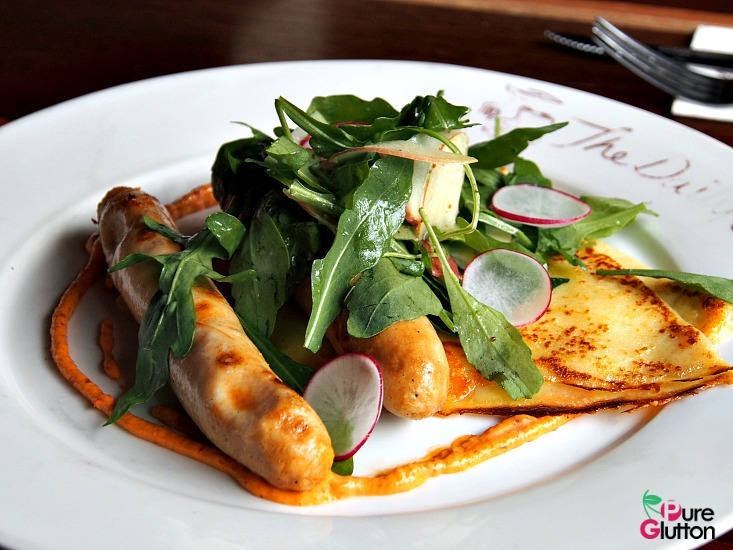 Savoury crepes with chicken sausages, cheddar cheese, romesco aioli, crisp rocket leaves and apple salad are a good way to start the day. 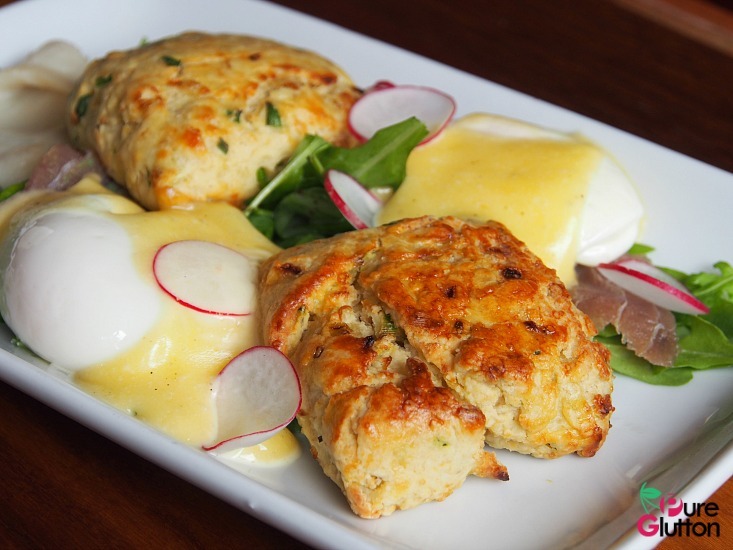 Smokin’ Seaside Scones (RM28) – if you like scones, you will definitely love the fragrant crumbly onion scones with poached eggs, smoked tuna, smoked snowfish, hollandaise sauce and rocket leaves. Scoop up the crumbles over the golden yellow egg-yolk to leave a clean plate! Burger Me Breakfast (RM27) – Of course a burger has to be featured and this version of a thick juicy beef patty sandwiched between the toasted halves of a fluffy brioche was pretty irresistible, especially with some crispy slices of beef bacon, hollandaise, rocket leaves and some tangy tomato jam. Herb Brioche Pudding (RM29) – This was my favourite. 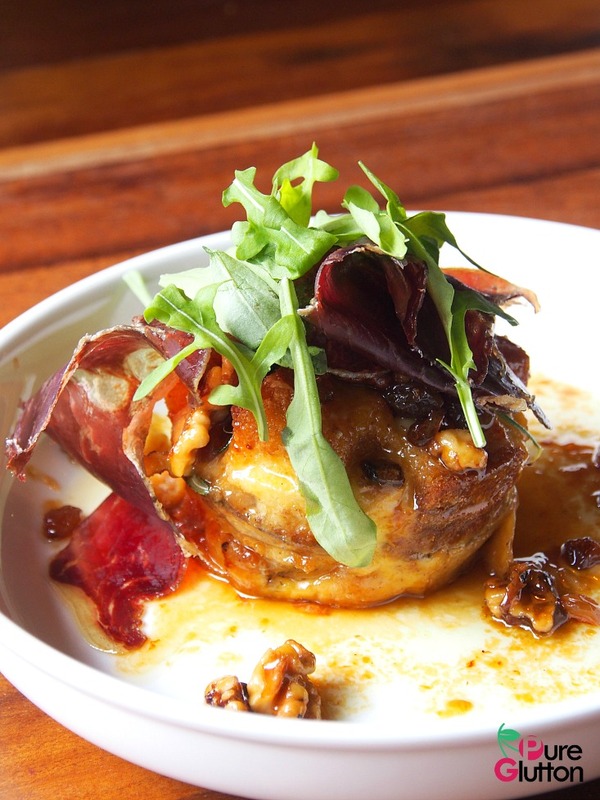 It’s a gorgeous combination of sweet-savoury elements: herb brioche topped with walnuts, sultanas, air-dried beef and drenched with a decadent salted caramel and rum. Rum! That’s the magic factor that elevated this ensemble and that’s why it’s my favourite! 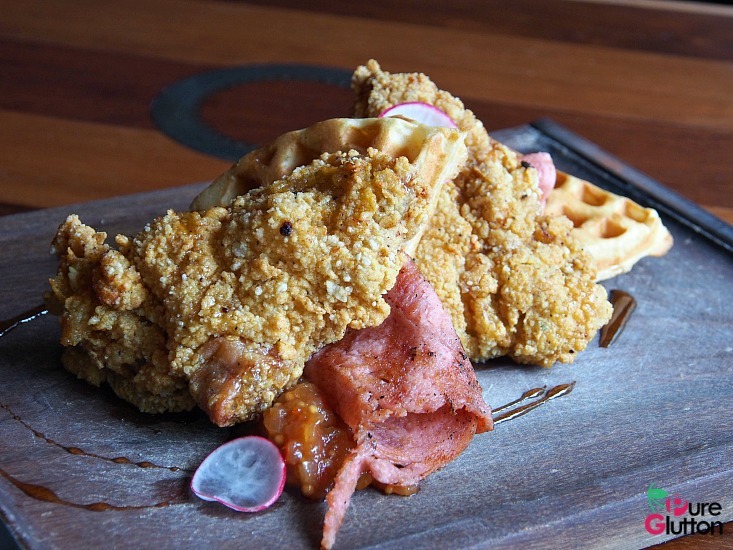 Waffle & Chicken (RM22) – Two big cuts of crispy fried chicken served with warm waffles, spicy tomato chutney and maple syrup – immensely satisfying! 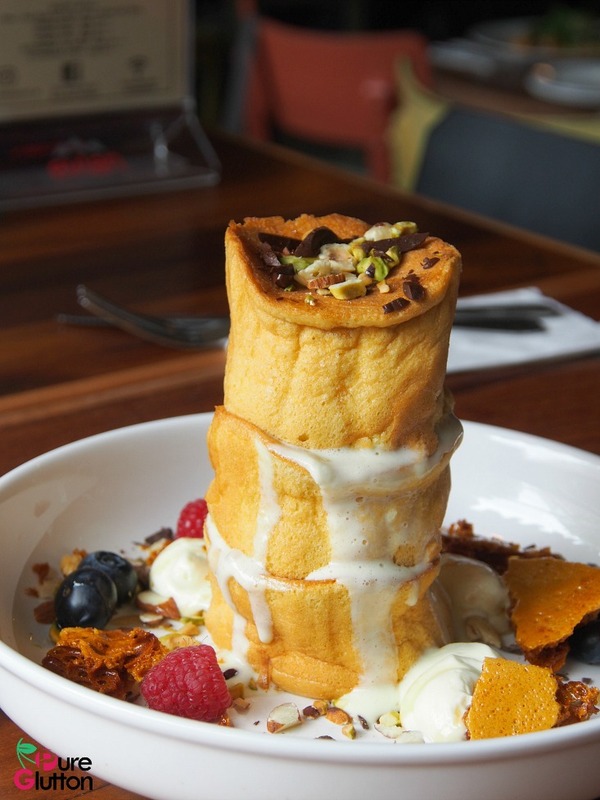 Pancake Souffle (RM23) – If you fancy something sweet and nutty, this ensemble of light and fluffy pancakes with honeycomb, wild berries, lemon cream, chocolate and nut crumble would hit the right places. 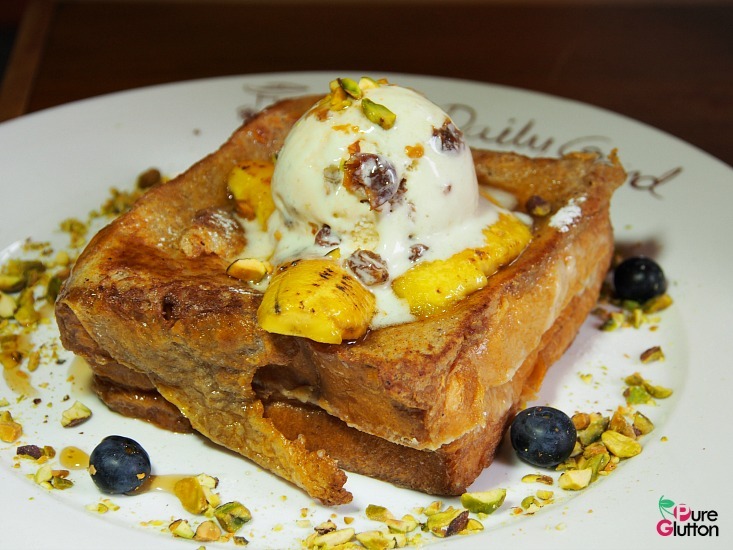 Captain Morgan’s French Toast (RM23) – This is one french toast to die for, thanks to the scrumptious rum & raisin ice-cream topping it. Then there are the caramelised bananas, crunchy pistachios and maple syrup to make it all the more delectable! 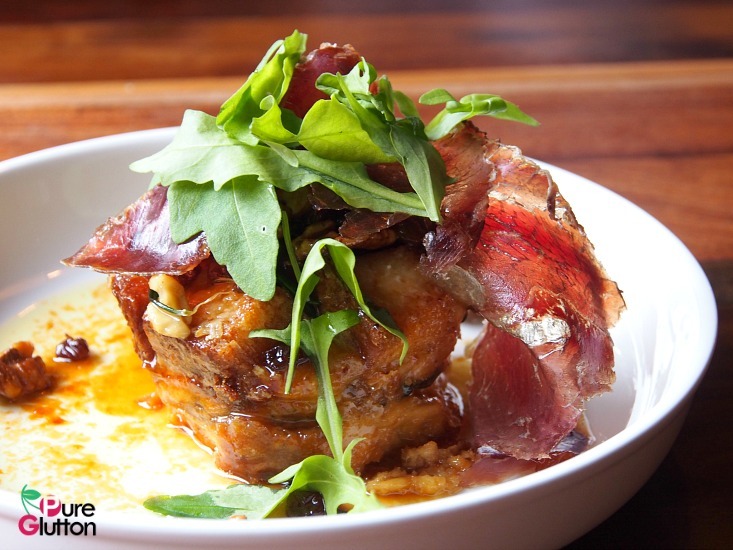 Miss Saigon (RM22) – For the health conscious, this is just the thing to order! 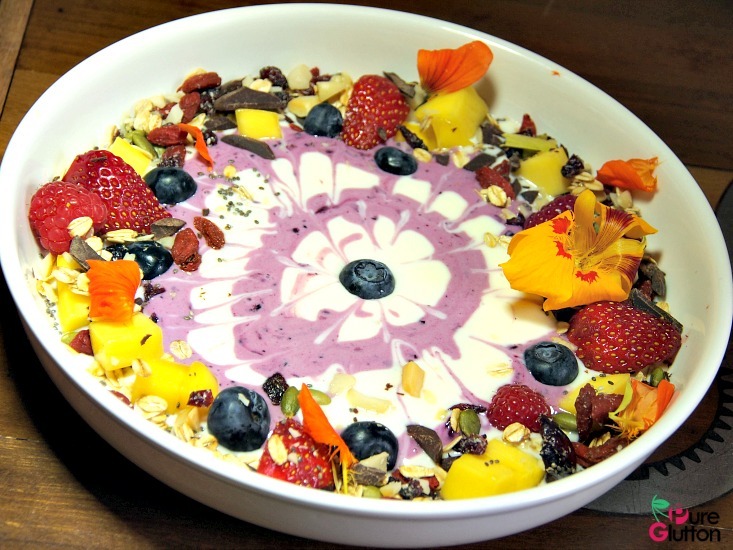 House-made Vietnamese-style yoghurt, colourful berries, pumpkin seeds, fresh mango cubes, oats, goji berries, coconut flakes and mixed berries coulis drizzled over prettily. In fact, I thought this was too pretty to eat! The Mockery (RM18) – The name was so apt! It’s truly a mockery, a sweet mockery of a classic English breakfast, thanks to the creativity of the kitchen crew. Nothing was what it seemed to be. I won’t spoil the fun by revealing what’s really on the plate – go on, order this and find out for yourself and have a good laugh in the process! 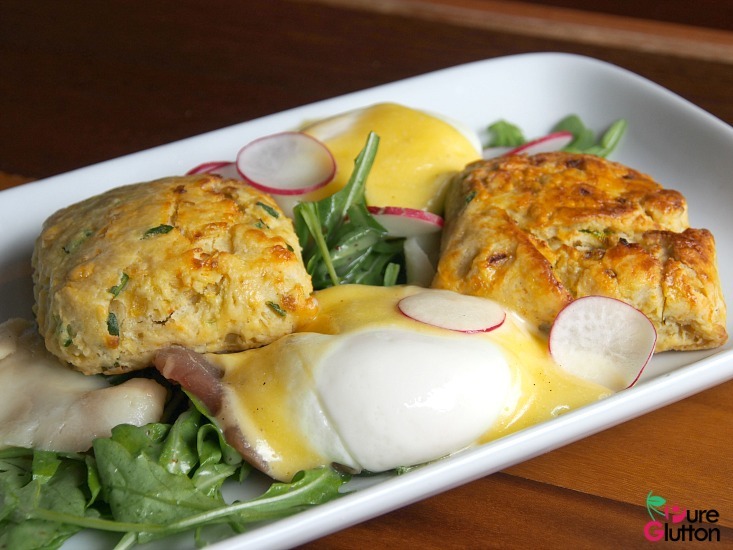 So, there you go… 9 new items for weekend brunch at The Daily Grind. The weekend is just round the corner – check them out. All content is copyright © 2018 The Daily Grind, part of The Good Food Trio Co.
Use without permission other than sharing on social media is prohibited. Third-party content herein is shared for promotional purposes only.